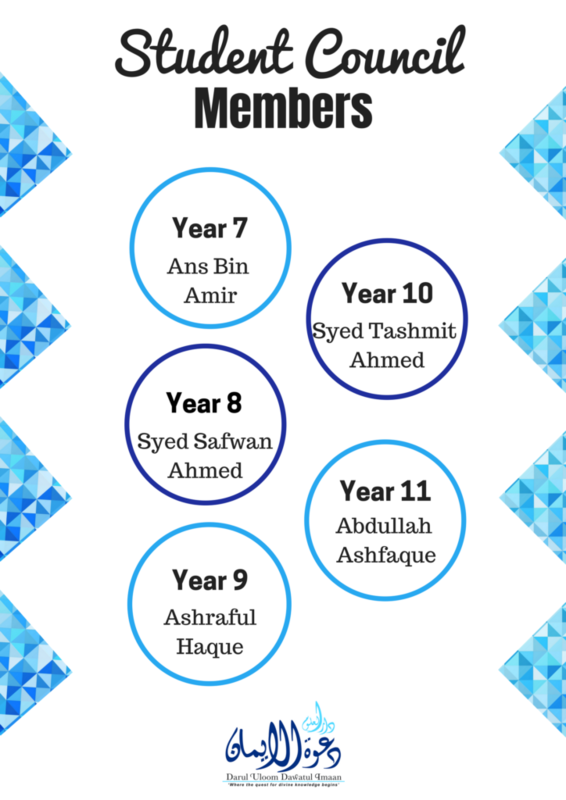 At Dawatul Imaan we consider the school council an important part of running the madrasah efficiently. All students’ views are given careful consideration at all times. The School’s Council is an ideal opportunity for pupils to get more involved in the way the school is run. The School council benefits the whole school, pupils and teachers, as it provides opportunities for pupils to communicate their feelings as well as influence decisions that are made within school. The councils is self elected by the pupils. 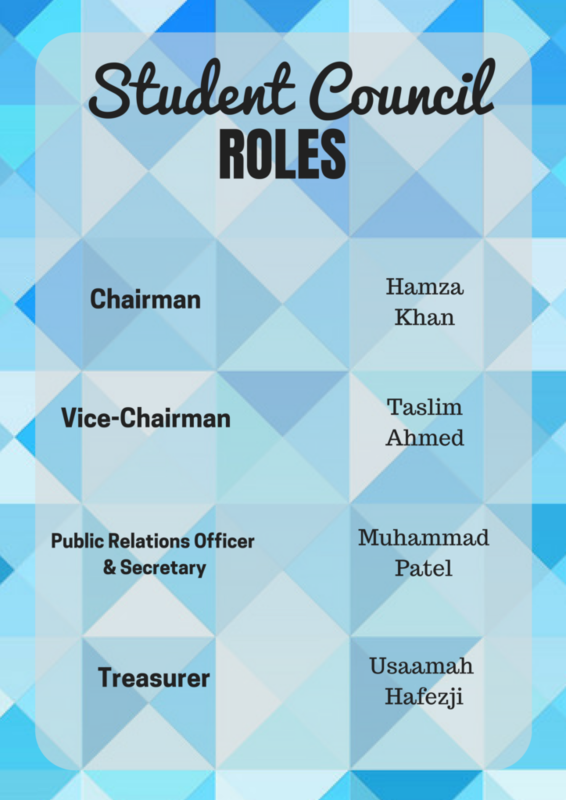 There are two Councils which run coherently; The senior council which acts as the main council and secondly the Year representatives which report to the senior council. This also ensures a clear development of understanding, importance of democracy, benefits of it and how democracy works. The council is also an important and useful way for to provide leadership and development opportunities for our pupils. @ Dawatul Imaan we feel that the students’ council and relationship students have with staff are a key element to a achieving high standards. Without a caring and wholesome environment this would not be possible.